Maud is a troublemaker and the least likely of all the girls at the Barbary orphanage to be adopted, so when she is picked out by a trio of rich old ladies to live with them everyone is a bit surprised. But it becomes apparent that these old ladies have tricks up their sleeves and Maud may have gotten herself into bigger trouble than she ever managed on her own. 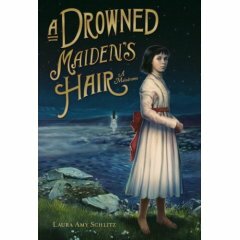 Placed at the turn of the century, Schlitz has captured all of the maudlin qualities of a novel of the era, riffing on that style to create an original work. The main characters are engaging and hardly old-fashioned, but Schlitz is a weak writer. The blurb on the jacket indicates that she has some background as a playwright and one imagines that she often just wanted to "fade out" on some scenes as overwhelmingly her transitions are awkward and painful. The dramatic arc weaves all over the place as well. She could well improve on a second effort or with a better editor and this is not a painful read -- it is just rough.